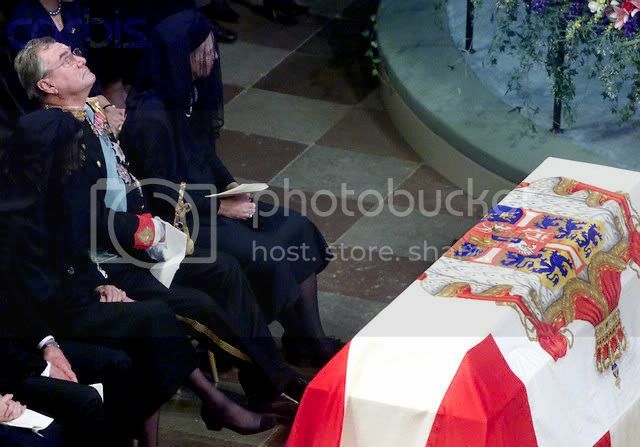 Queen Ingrid died 7 November 2000 at the age of 90. 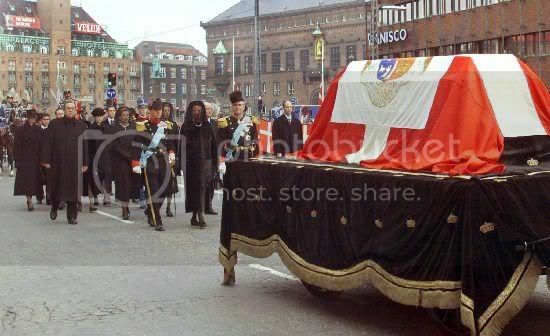 Her flag-draped casket was taken from Christiansborg church to the railway station in Copenhagen and went by steam train to Roskilde. 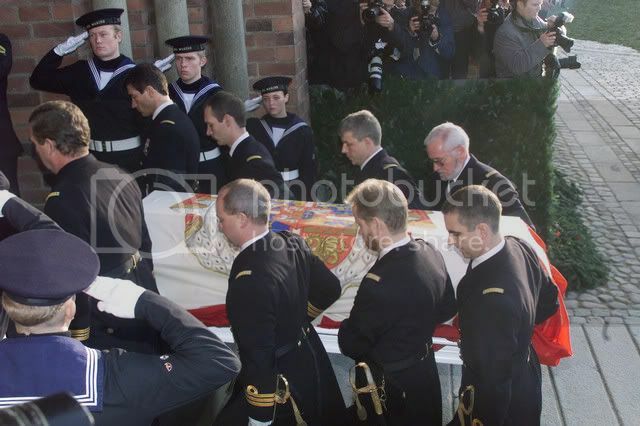 The funeral which was attended by her family and crown heads of Europe took place in Roskilde's Cathedral. 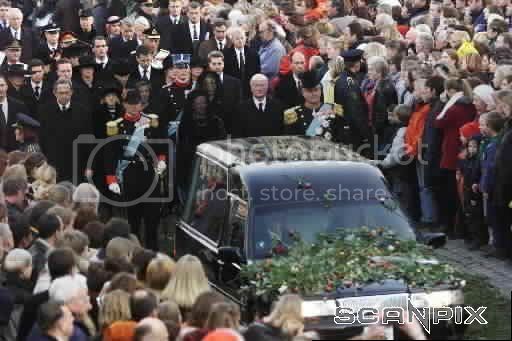 Queen Ingrid was buried beside her husband, King Frederik IX at Roskilde. 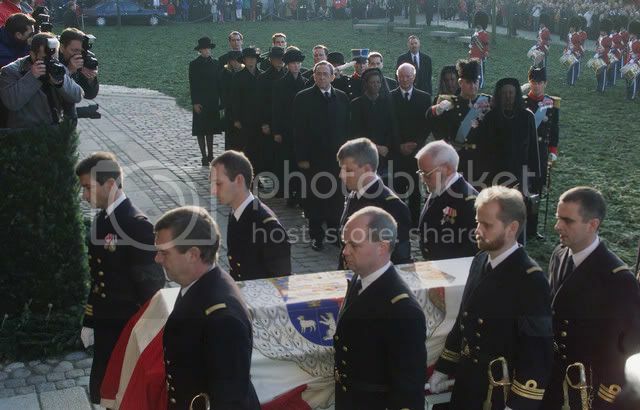 10 November 2000 - Queen Ingrid's flag-draped casket rested for three days in Copenhagen's Christiansborg Palace Chapel. 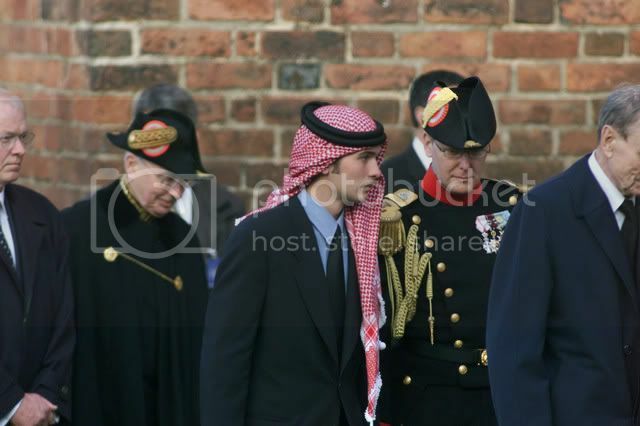 Prince Frederik, Queen Anne Marie, Princess Benedikte, Prince Henrik, Queen Margrethe. 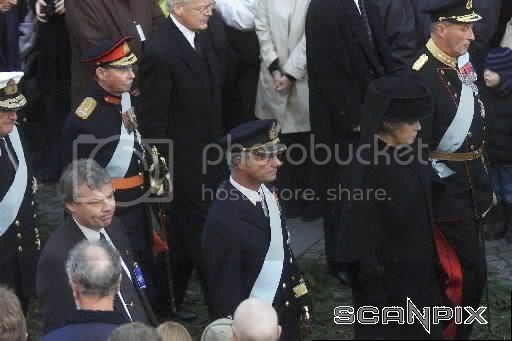 Queen Margrethe and Prince Henrik walk past Queen Ingrid flag-draped casket. 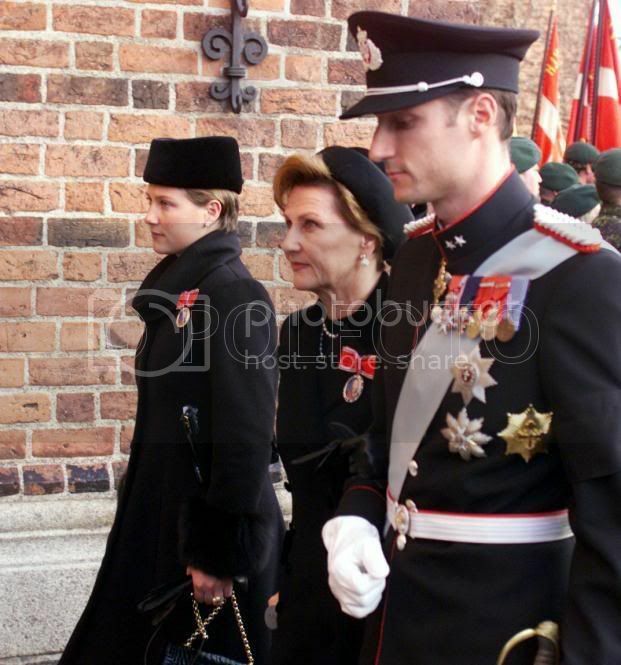 11 November 2000 - Tribute to Queen Ingrid. 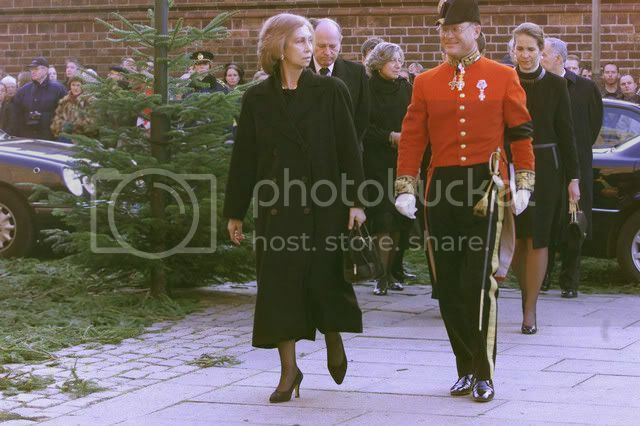 12 November 2000 - The Danish people pay tribute to Queen Ingrid. The hardest time at my grandmothers funural was when the coffin was put down in the ground, so therfor i chose to look at the flag in the heaven. Back to subject i think it must be very hard so say godbye to a parrent thinking of Queen Ingrids daugthers and their ages. 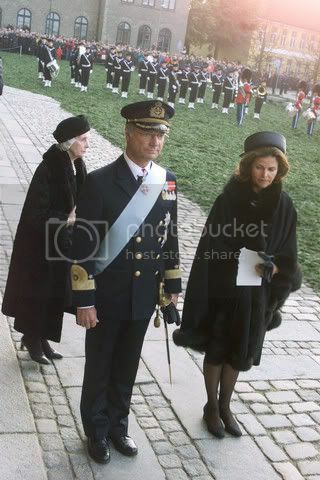 I think royals have learnt not to show emotion in public not just Queen M.
Queen M looks just as distraught as Quee AM or Princess Benedikte. 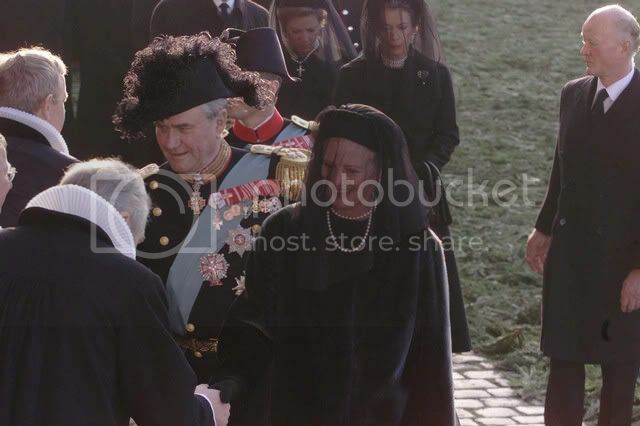 It's a sweet thought, H.M. Margrethe, but please take a closer look the next time you watch Prince Henrik attending a church ceremony! He invariably looks as if he'd rather be some place else! He is bored stiff when in church, but then again religious beliefs don't mean the same to him as they do to the Queen. You mean after the "service" in Christiansborg Slotskirke right? 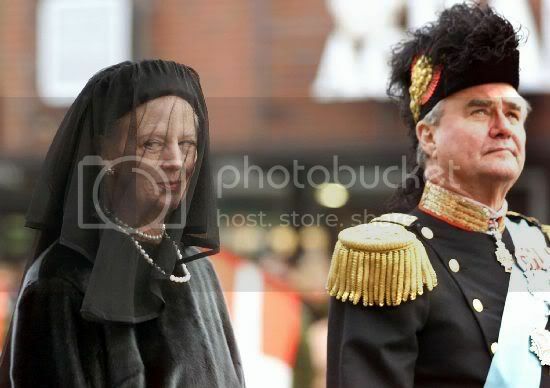 I'm curious why Queen Margrethe, Queen Anne-Marie, and Princess Benedikte are wearing formal mourning clothes and veils, while the other female members of the family aren't. Is this a matter of etiquette, personal preference, or tradition? At the time of the funeral, Alexandra was still married to Joachim, so I'd have imagined that all "princesses of the house" would be dressed similarly. Were Pavlos and Marie Chantal there? 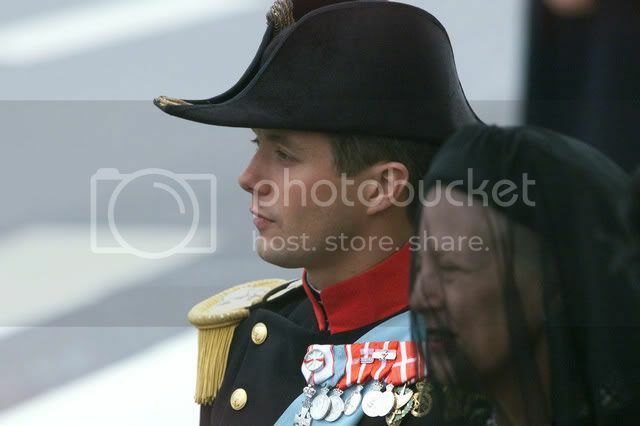 Wasn't Crown prince Frederick the one who was close to his grandmother Queen Ingrid? Remembering Queen Ingrid today. 11 years since she passed away. What a marvellous woman she was. Glad you remember what I have forgotten! 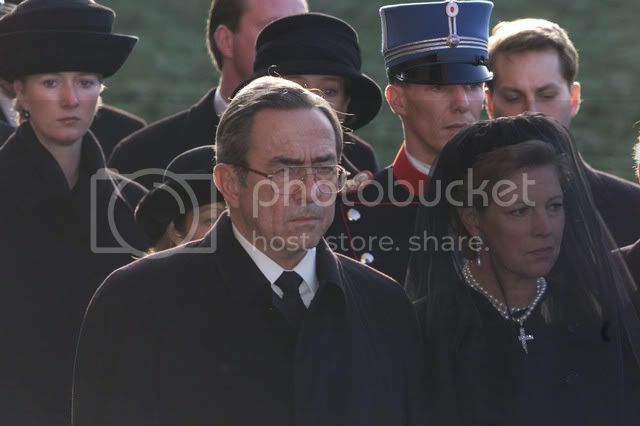 It was Queen Ingrids brothers Count Sigvard and wife Marianne Bernadotte attend Ingrids funeral. 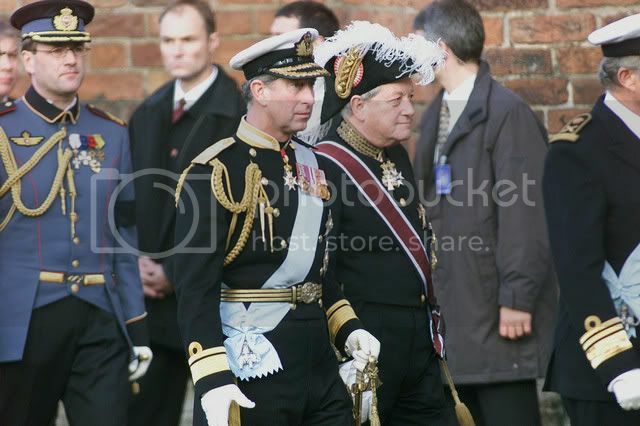 Count Carl Johan and wife Gunnila Bernadotte was attend Ingrids funeral. 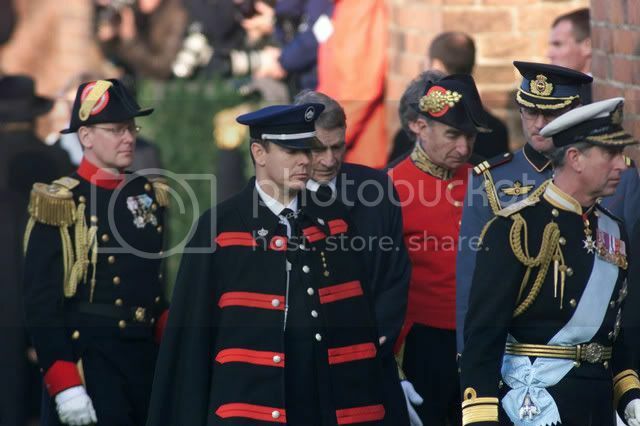 Oldest brother Sigvard and youngest brother Carl Johan Bernadotte. 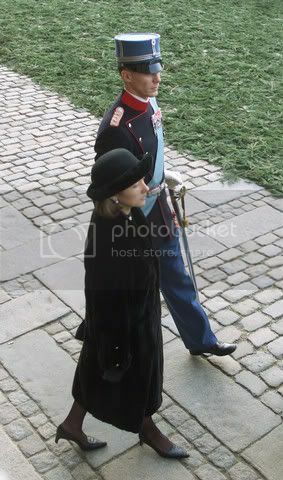 Sister-in-law Marianne and Gunnila, Princess Lilian. 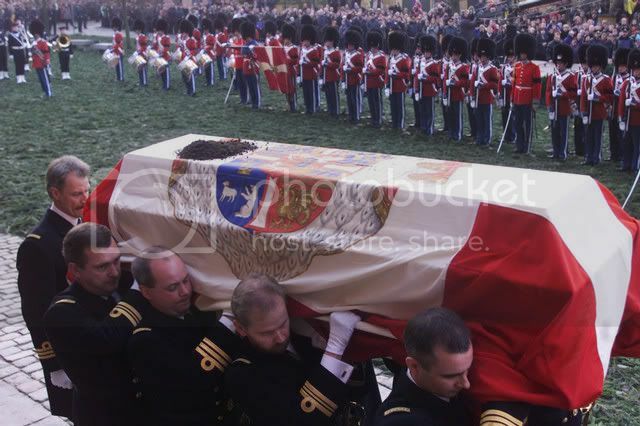 I was watching the video of the funeral of Queen Ingrid. 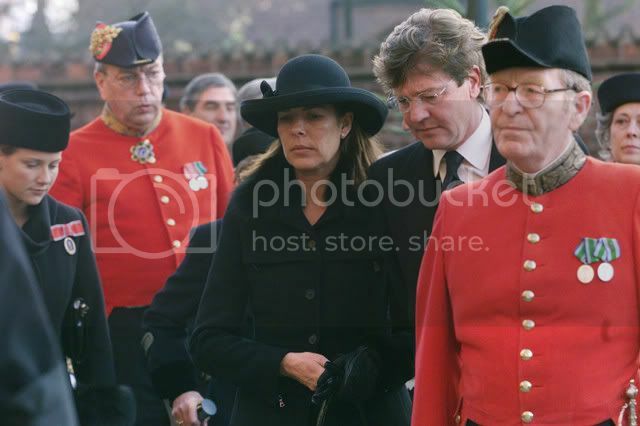 What is the orgin and meaning of laying fir boughs along the road that the funeral procession passes over? The fir branches were silencing the procession, but it is also a token of honour! I can't say whether 'the palace' requested this or if it was organized by the city of Roskilde. I haven't seen this before .. nor after, for that matter. However previously in rural districts flowers were often strewn along stretches of the funeral procession route - depending on the season.